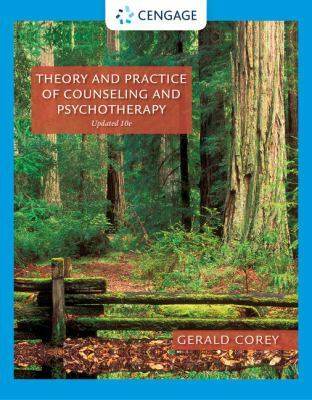 Incorporating the thinking, feeling, and behaving dimensions of human experience, the tenth edition of Corey's best-selling book helps students compare and contrast the therapeutic models expressed in counseling theories. Corey introduces students to the major theories (psychoanalytic, Adlerian, existential, person-centered, Gestalt, reality, behavior, cognitive-behavior, family systems, feminist, postmodern, and integrative approaches) and demonstrates how each theory can be applied to two cases ("Stan" and "Gwen"). With his trademark style, he shows students how to apply theories in practice, and helps them learn to integrate the theories into an individualized counseling style. This book anchors a suite of products that includes the revised Student Manual, Case Approach to Counseling and Psychotherapy (2013), The Art of Integrative Counseling (2013), and media resources (online and on DVD) that show the author working with clients from various theoretical viewpoints.